Getting an amazing night of sleep every night doesn’t have to be difficult. With this 30-minute guided meditation accompanied by an ambient soundtrack, achieving mindfulness and a better sleep is as easy as pressing play. Throughout this audiobook hypnosis, you will be guided from start to finish. We will begin with your current state of stress and restlessness and bring you to a peaceful state of calm awareness, where you will be able to push all of the troubles of the day into the distance and find true relaxing with the ambient soundtrack. 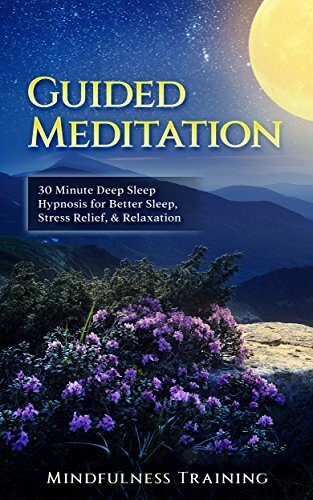 With this wonderful guided meditation, you can practice at home or on the go, de-stressing and getting a perfect night’s rest each and every night. There’s no need to stay in a stressed state of mind. Grab your copy today and say goodbye to restless nights for good!